When you plunk your house onto the market, it’s understood that you want to sell as quickly as possible. 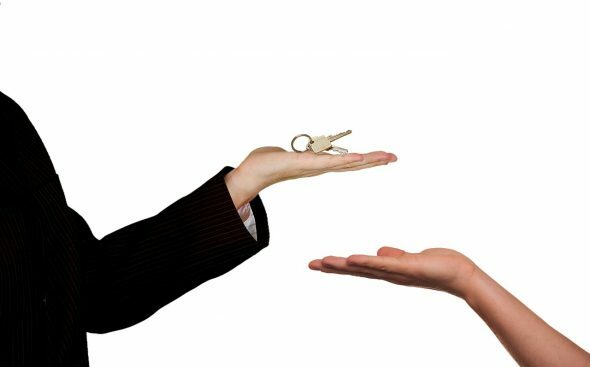 Real estate transactions can be tedious; it’s a relief when the negotiations are complete. However, unless you’re lucky, the perfect buyer isn’t going to just stumble into your life. You have to do some work. If you want your home to be appealing to buyers, you need to fix it up. It doesn’t matter how much character the rooms have if the floors are covered in debris and the walls are grimy. Read these tips before you list your house so you’re fully prepared for the situation. You might be wondering if you need a real estate agent in the era of the internet. Anyone with a computer or smartphone can find new home listings. However, there are still benefits to having an agent on your side. Unless you have a lot of experience, you could easily make a costly mistake during the process. Don’t feel pressured into using cousin Charles just because he’s familiar. You want to hire someone that will fight for your interests in the best way possible. That means hiring a skilled professional who you feel comfortable with. If there’s something wrong with your home, it’s generally more cost-effective to fix it yourself before you enter negotiations with the buyer. The buyer is likely to subtract both the cost of the repair and a fee for the hassle from their offer. For instance, plumbing repairs are particularly irksome. You won’t be able to sell your home for as much money if you’re pipes are in bad shape. Curb appeal is paramount. Buyers won’t look favorably on your home if it’s not appealing on the outside. Things like dead grass and a trash-strewn yard can tank your home’s value. Try placing potted flowers on your front porch or repainting the steps. Anything to make your home look more attractive. If prospective buyers are going to be walking through your home, you need to clean up the clutter. It’s distracting and unattractive. Remember, the buyer should want to picture themselves living in your home. That won’t happen if there’s clutter everywhere. Remove any unique, unconventional elements from your home. That zebra print lounge chair? It might be off-putting to some people. The goal is to appeal to a wide variety of people. That means turning your home into a blank slate. You should also remove family pictures. You want your house to look like a home but not necessarily your home. Generic interior design elements do best. The floors and windows aren’t part of your day-to-day cleaning and are easy to forget about. However, if you make them sparkle, it can really help make your house pop. Natural light streaming into streak-free glass can look amazing. You might even consider hiring professional cleaners. This is an especially good idea if you have old carpet or a lot of hard to reach windows. Everyone wants an amazing kitchen. For many buyers, it’ll be the most important room in the house. If you have the time and money for a serious renovation, focus on your kitchen. It’ll likely pay off with buyers. If you don’t want to spend a lot of money, you can still implement small changes like painting the walls or installing handles on your cabinets. If you have high-end appliances, show them off. You never know when a willing buyer is going to show up. So, your home needs to be “show ready” at all times. You need to be willing to accommodate the buyer’s schedule. Your home should be in pristine condition for every showing. Keep the floors vacuumed, don’t let dishes stack up in the sink, and light a candle or two for scent. Treat your home as though a guest is going to show up at any moment. Is it time to sell your home? Besides hiring a real estate agent, the most important thing that you can do is to get your home ready. It’ll sell faster if buyers see it in its best possible condition. You don’t have to spend a dime on upgrades if you don’t want to. Just keep your home very, very clean. Ronald Thaxton is a super-connector with photographersinislamabad.com who helps businesses find their audience online through outreach, partnerships, branding and networking. He frequently writes about the latest advancements in digital marketing and digital photography.